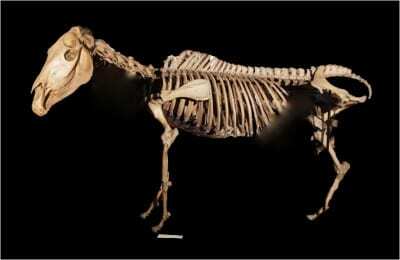 The Grant Museum quagga is the only such skeleton on display in the UK. I have occassionally considered making it my life’s mission to see all the quagga skeletons in the world. I normally come to the conclusion that there are nobler missions I should focus on first . However, should one choose to undertake such a mission (or indeed if a TV producer agrees that Jack Ashby’s Great Quagga Quest is a winning concept), you would need to know where they all are. There is no point in travelling to the quagga’s former home. Sadly no skeletons remain in South Africa, which brings to mind the whole issue of repatriation that has never really been a feature of zoology museum politics. Aside from the out-dated names of some of these collections, in researching this post I am experiencing some doubt as to its accuracy. I can find no mention of a quagga skeleton on the websites of 1, 2, 3, 6 or 7. The only ones I’ve found evidence to exist are ours and the Peabody’s. Is it possible that there are in fact even fewer than we once believed? I confess to writing this on Sunday, and so am not in a position to get a response from my colleagues at these institutions to confirm whether or not they have specimens before this is published. Needless to say that’s what I’ll be doing now (what better a day to do it? ), and will report back on what I find. If anyone has set eyes on another quagga skeleton, please comment below (don’t worry about skins – there are quite a few of them in museums). It’s possible that these museums simply haven’t thought to mention that they have a quagga skeleton (they may not realise their rarity), but the world should prepare itself for this animal to be even more extinct than we previously realised. 1. I should confess that I’m quoting myself here. Click the link to read why. 2. I had previously prioritised seeing all species of Australian quoll in the wild, but having got that under my belt I’m working on finding every egg-laying mammal in the UK. The benefit of chasing dead animals is that you don’t have to wear camouflage or get up at 4am. Hi we have just discovered that we have the 24th Quagga skin!! !